Yoo-Seul is a student of an art high school. 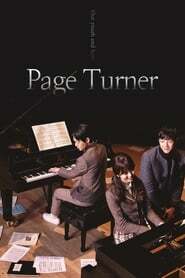 She is a talented pianist and who won various contests, but she is driven by her mother. Yoo-Seul’s mother wanted to become a pianist when she was younger. One day, Yoo-Seul has an accident. Yoo-Seul may never play the again because of the accident. With the help of her friend Cha-Sik and Yoo-Seul’s rival Jin-Mok, Yoo-Seul begins to live a new life.